1:02 – What are the steps that you need to take before hiring an off-shore team member? 5:30 – How can a mastermind program help you grow your business? Hi Fiona Soutter here from Super Savvy Business with this week’s business news update. One thing that has come up throughout the week is hiring outsource team members and how to best go about that. First of all I recommend that you hire mainly based on values and attitudes rather than skills. Unless, of course, you need technical skills such as coding or design skills. But otherwise I think it is a lot more valuable to hire someone based on their values and attitudes. You need to find somebody that is going to fit in well with your existing team members. The sort of values that I am talking about are things such as being reliable, being able to show initiative, being a self-learner, being motivated – all these sorts of things are really important, especially when you are working with somebody who is not in a physical office with you. You need them to have those sorts of skills. When I hire people – I’ve been outsourcing now for just over 5 years – I take people now through a very stringent interview process, starting with a basic Google Doc questionnaire. When people pass that level, I give them a face-to-face interview on Skype where I actually get to see the person and speak to them and ask them a lot of values-based questions and asking them about how they would behave in certain situations. But most importantly, how they have behaved in previous situations and to give me examples, because I don’t want to know hypothetically, I want to know exactly what this person has been able to do in the past and to demonstrate that they do have the core values and attitudes that I’m looking for. When you do make a hire and you find out fairly soon that the person is not going to be suitable, don’t be afraid to fire fast. Finally the one little tip that I would like to share with you about outsourcing with off-shore team members is to invest in their education. I make it part of all of my team members that they actually have time to train and to gain new skills so they are constantly learning new things, they are motivated, they are not getting bored with doing the same thing, day-in, day-out. I also make sure that they learn to do the roles of other people within the business so that if somebody is away then I am not stuck; I have another person who I can call on to take care of tasks. The next thing I would like to touch on is the use of Google Docs. For those of you who aren’t aware, Google has a whole suite of programs that you can use to create spreadsheets, word processing docs, forms, all sorts of things – and these are all free, all through your Google account. When I went into the Google headquarters last week I saw in action how this can really be beneficial to people who are working with off-shore team members. I saw the leverage and the ability to save time and also to save mistakes. So let’s imagine you have a doc that you have a team member that started to work on. You can actually be collaborating on this document at the same time and see live when this person is making changes and where your changes are. You can also have live chat within that doc sharing session. It’s a really powerful tool. 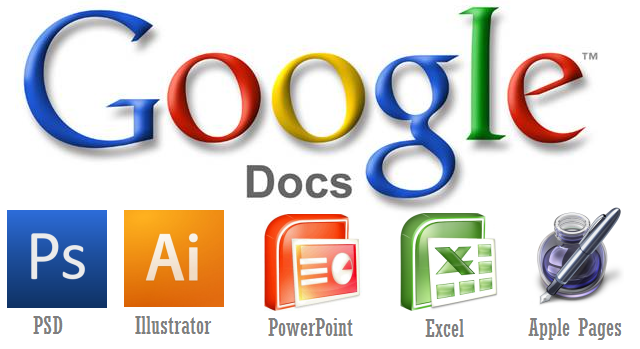 If you haven’t already looked at it, I recommend that you have a look at Google Docs – not just for off-shore team members, but also if you have a business where you’ve got people within an office; it is a really great way to make sure that you always got the most up to date version of a document. There is no uploading, downloading and attaching to e-mails where you can get confused as to which was the latest version and I think that is really powerful you can always make sure that you can access that file and you got the latest version. Next I’d like to chat about the idea of not giving up. Sometimes you can feel in your business that you are really chipping away and doing a lot of work and not necessarily seeing the results. Well, persistence is what pays off. So long as you’ve got a sound business model and you’ve got a hungry market, it is important to be persistent. See, what happens is a lot of people give up when they don’t see the results coming through fast enough. I know this, especially in the internet marketing world. I have been in this game for over 5 years now and I have seen a lot of people come and go. They get very excited when they start and then they don’t see the results happening quickly enough or fast enough and then they go away, they leave it. But this is great news for people like you and I who understand the value of not giving up because once your business gains traction, you then have a lead on any other competitors who are trying to come into your marketplace. This is exactly why I am doing these videos week-in, week-out, and I am watching the visits to my websites grow day-in and day-out, which is in its turn helping my business to grow as far as sales and leads are concerned and growing my database. So just push harder and make sure you can secure your position in your marketplace as the market leader. Finally, I’d like to touch on the whole idea of being part of a high level mastermind program as a way of taking your business to the next level. When you are a business owner it is very easy to get caught up in the day-to-day grind of just ‘doing the do’ and it can be difficult at times to project ahead. Being part of the mastermind program really helps to propel your business to the next level. This is because you have accountability on a weekly basis. You have someone to hold your hand, to work out where you are now and the sort of steps you need to take to take you to the next level, especially when you are trying to deal with something like promoting your business online or working with outsource team members – something that you are perhaps less familiar with as a business owner. These are the things we cover in the Savvy Mastermind program. 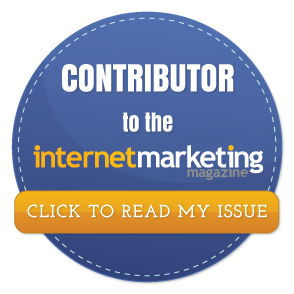 It is not currently open to the public but if you would like to find out more, please go over to savvymastermind.com where you can enter your details to go on the waiting list and also be kept up to date with the latest news and what’s going on inside our program. That’s all I have for now, my name is Fiona Soutter from Super Savvy Business and this has been the weekly business news update. See you next week!